lovely secluded position surrounded by a large grassed area outside for children to play safely , pub style garden bench and seating to while away the hours. The open plan kitchen is fully equipped with everything you require for your Butlins self catering holiday including microwave, fridge , toaster, kettle, cutlery and crockery , pots and pans etc. The Master Bedroom consists of a double bed, double wardrobe, cupboards, bedside cabinets and overhead shelving and has a electric panel heater . 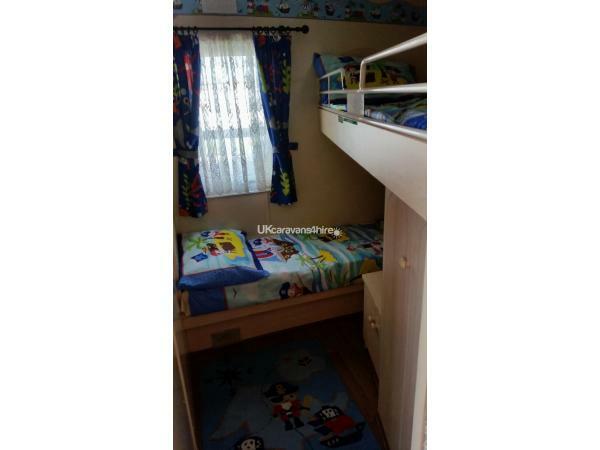 The 2nd Twin Bedroom with single bed and single bunk with safety rail and storage. 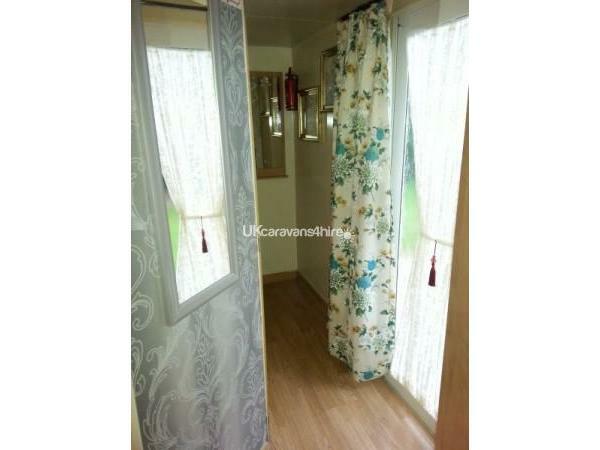 The shower room contains a toilet, sink with cabinet and shower enclosure. 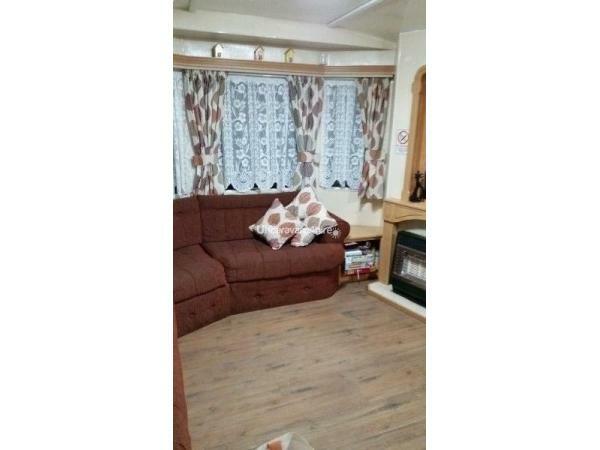 Outside you will find a walk in shed containing a washing machine,tumble dryer and freezer. 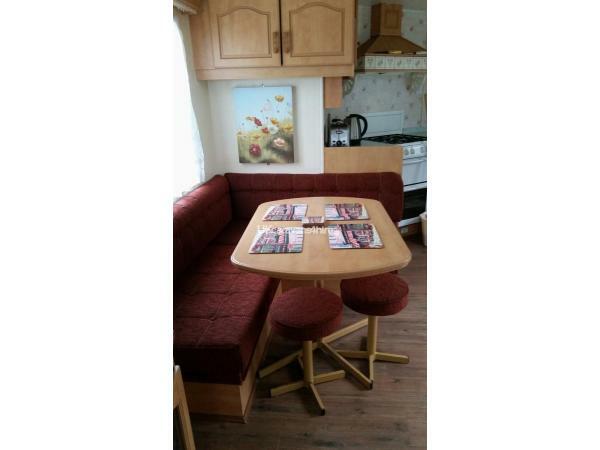 Safety - For your safety the caravan is fitted with a smoke alarm, carbon monoxide detector and fire extinguisher. Butlins is also close to Fantasy Island famous for it,s funfair ,rides and the famous Eastgate market. 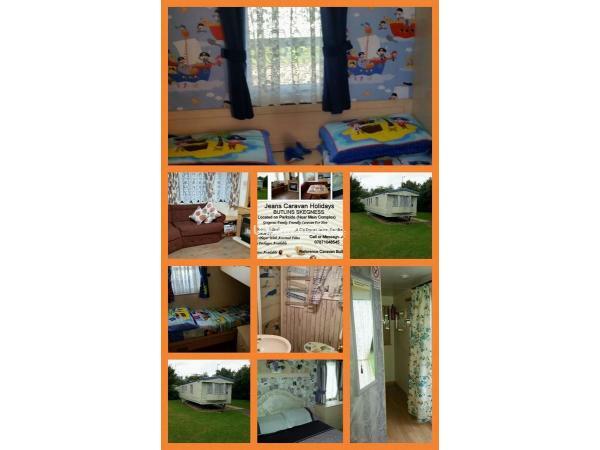 Price includes 4 passes which consists of, 2 Adult and 2 Children (under 15 years of age) on Family Breaks. Additional passes can be bought. Deposit to secure your holiday booking is £75 WHICH IS NON REFUNDABLE IF YOU CANCEL. Refundable Damage Bond is £50 (£75 for adult only weekends), which is returned 24 hours after you leave once caravan has been inspected and has been left as found on arrival and no damage caused. Between £40 and £60 per person - depending on which holiday break . The holiday dates you require and length of holiday required. 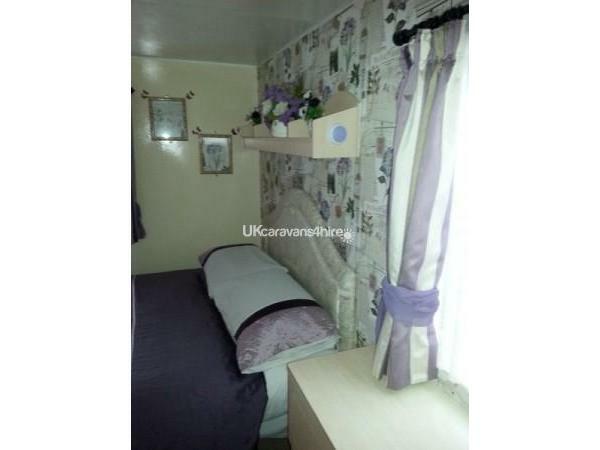 Beautiful 3 bedroom 8 berth caravan for hire which can sleep 8 people.. which is situated on Parkside at Butlins in Skegness. The caravan is located in a prime spot and has its own allocated parking bay and is just a few minutes walk to the main Butlins Complex. Ideal for those with mobility issues. Action packed park - has a wide range of entertainment and facilities for the whole family to enjoy. 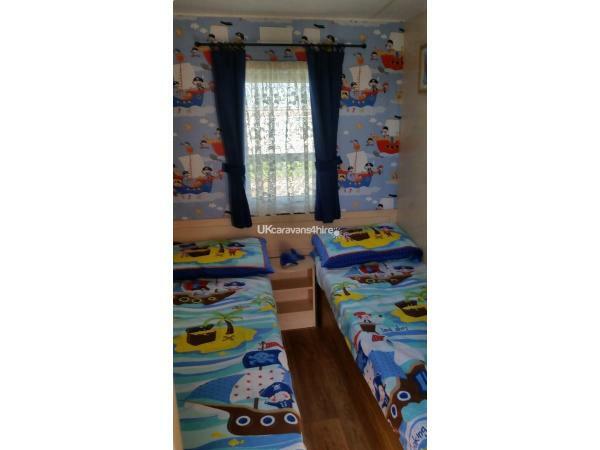 Paved area outside and sturdy pub style garden bench and, good sized grassed area offering seclusion for kids to play, or sunbathe and while away a few hours in the sun. Handy for families is an outside shed with washing machine,tumble dryer,freezer. No more trekking to the launderette. 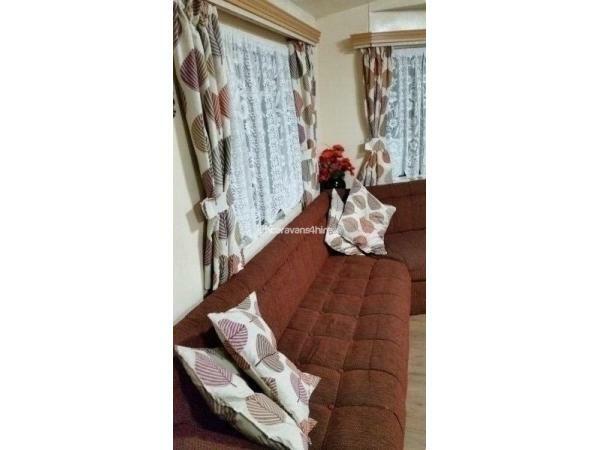 Large roomy lounge with plenty of seating, recent new laminate flooring gives it a modern light and airy feel.Mains gas fire in the lounge, panel heating in the main bedroom, hallway and twin bedroom plus additional portable heater. 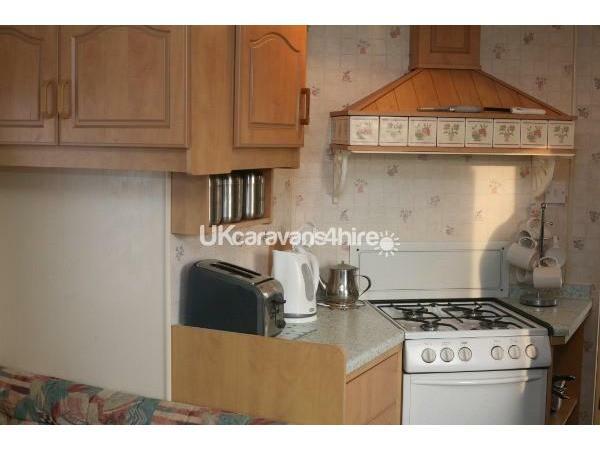 Well equipped kitchen with microwave, kettle, toaster, full size cooker plenty of cutlery, crockery and pots and pans etc. Selection of DVDs, available for use for you to use during your stay. !!! DEPOSIT OF £75 REQUIRED FOR ALL OTHER SCHOOL HOLIDAYS !!! All damage bond payments are refunded within 7 days of Break ( I try to do this within 24 hours ), providing the Caravan is left as found on arrival and no damage caused. ( other vans available ..NOT on Butlins ) The Chase Ingoldmells. Additional Info: Indoor Pool, Amusement Arcade, Kids Club, Tennis Court, Laundrette, Crazy Golf, Grocery Shop, Pub/Club, Restaurant, Fast Food Takeaways.